Lupe Fiasco is the iron fist. Destined for a higher purpose, the acclaimed lyricist has put down the microphone in order to channel his inner Danny Rand. Like the Wu-Tang Clan before him, Lupe has long been fascinated with martial arts. Unlike many his contemporaries, Lupe is actually adept at swordplay, and seems to take the art combat seriously. It's no surprise, as Lupe has always been meticulous about his craft. Now, it would appear he is planning to take things to the upper echelon. The Chicago rapper has signed up for a new Documentary series called Beat n Path, which will focus on his quest to elevate his martial prowess. "I trained in the martial arts with my father since I was about 3 years old and it's always been a passion mine. It pops up in my music sometimes with] little hints it here and there, but for the most part, my fans never really saw that side or really saw my martial arts side. They only know me for being a musician and a rapper. Hopefully this show will introduce people to that side me." 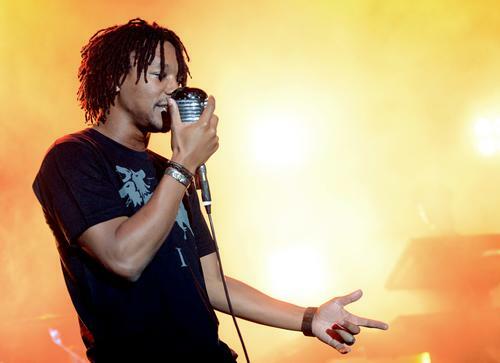 Check out Lupe's interview below, for more his notable influences. You can also catch a brief promo Beat n Path after the jump. The series is set to premiere tonight on Celestial Tiger Entertainment's Kix in China.